Life-like hardwood visuals are the hallmark of laminate on the market today. People find themselves asking whether the flooring is hardwood or laminate. Available styles convey the classic appeal of authentic hardwood, without the hardwood costs. 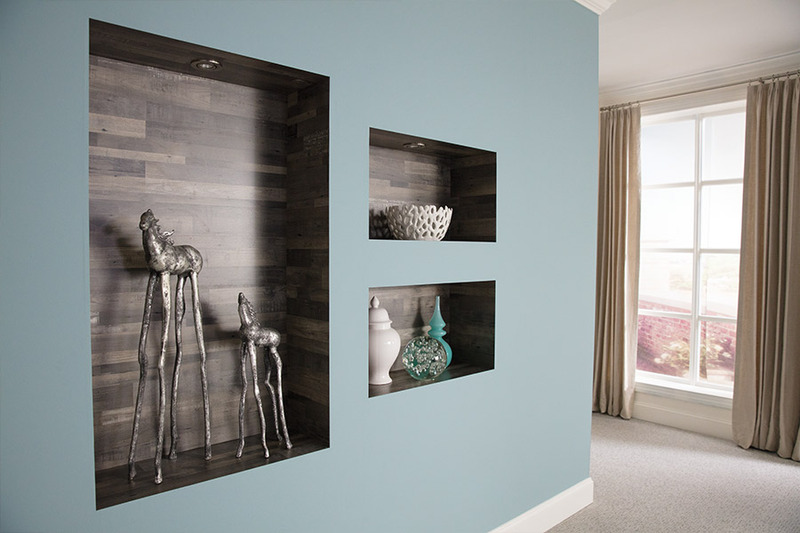 Various finishes and shades of laminate allow you to choose a hardwood look, down to a particular species. Some laminate is available in highly textured, distressed, or beveled options. With these options, not only does the laminate look like hardwood, but it also feels like hardwood. Laminate is an inherently 'green' product because less wood and fewer resources are used in the manufacture of the laminate. 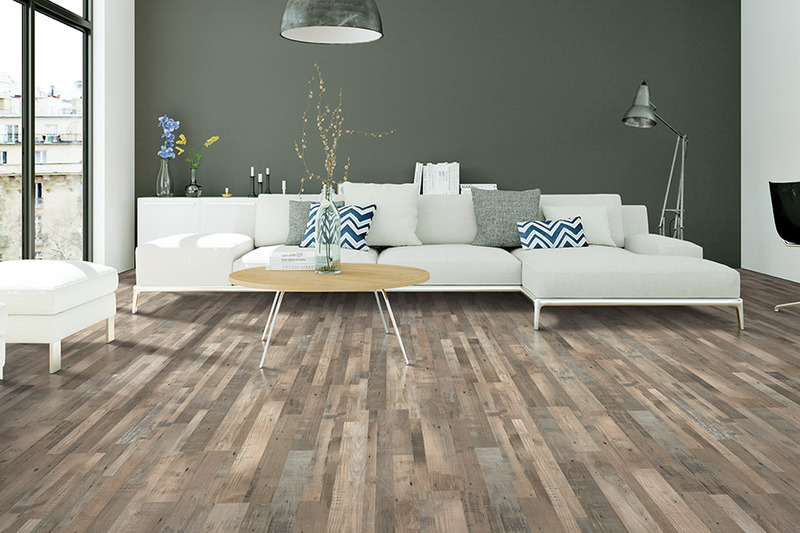 Durable laminate that mimics hardwood is both affordably beautiful and beautifully affordable. 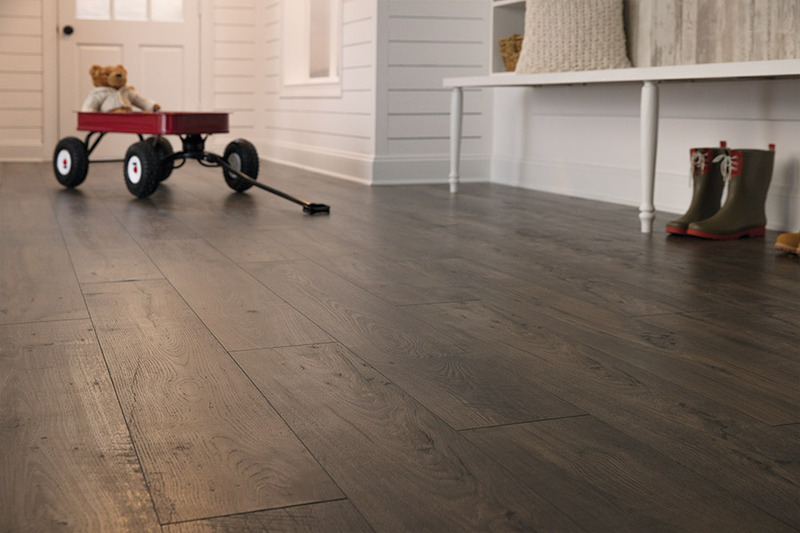 While the construction of laminate flooring makes it extremely durable, there are some basics for the protection, care, and repair of the laminate. 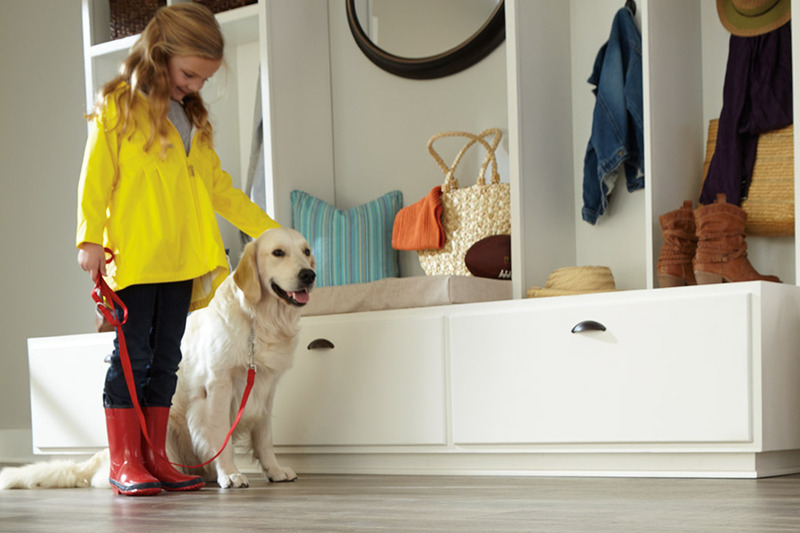 The list may seem long, but the upkeep is actually pretty easy for this type of flooring. 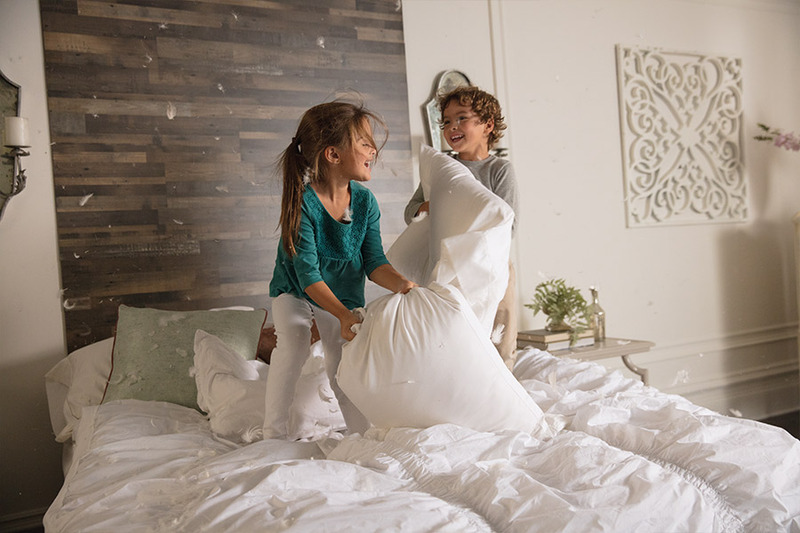 Blot up spills with a damp cloth as soon as they are noticed. Use a clean white cloth and acetone for tough spots such as tar, ink, lipstick, markers, paint, and oil. Follow-up by wiping with a damp cloth to remove any residue that remains. Vacuum, dust, or regularly sweep to prevent grit and dirt accumulation that can dull or scratch hardwood look-alike laminate. When cleaning, use a hard floor attachment rather than a beater bar. Occasionally use the cleaning product recommended by the laminate floor manufacturer. Do not wet mop or wash hardwood type laminate with any liquid cleaning substances, such as soap and water or oil-soap detergent. Using these products can cause the hardwood laminate to swell, warp, de-laminate, or separate at the joint. Using these products will also void the warranty. Strong chlorinated or ammoniated cleaners, abrasive cleansers, or steel wool should not be used. Harden chewing gum and candle wax with ice and gently scrape them with a plastic scraper or credit card. Then use a damp cloth to wipe clean. Do not use a polishing or buffing machine on hardwood laminate. Showcase of Floors is not trying to discourage laminate floors that mimic hardwood. When you look at the list, you can see that the steps to keep it clean are easy to follow, and you avoid many cleaning chores that would harm the laminate. Visit our showroom in Riviera Beach, MD to see our display of hardwood looking laminate. To learn more about the beautiful laminate flooring options that we carry, visit Showcase of Floors in Riviera Beach here where we proudly service the areas of Baltimore, Pasadena, Glen Burnie, Severna Park, Severn, Arnold, Anne Arundel County, Pasadena, Glen Burnie, Lake Shore, and Green Haven.